This week, Nebraska sent out a slew of offers. They were mostly for the class of 2019 and they focused on a handful of 2019 JUCO offensive tackle targets. 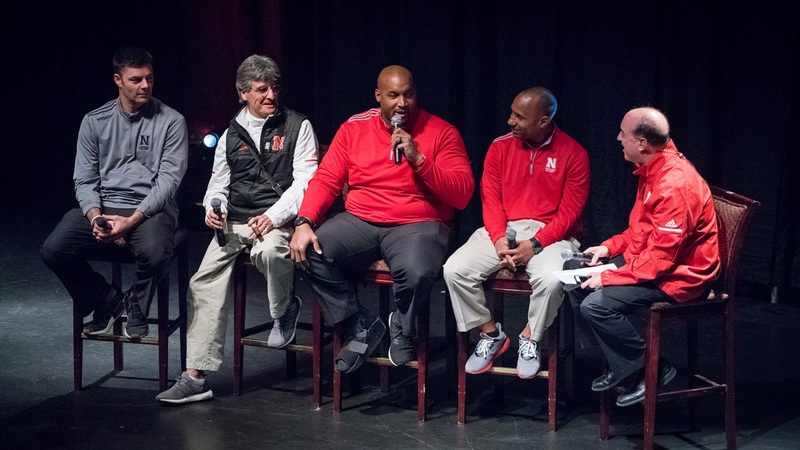 There should be more offers to come shortly as Nebraska really looks to set its 2019 board and gets time to evaluate more film on the senior class to be. >>Nebraska will be hosting a potential 5-star linebacker for a return visit. This time, it'll be an official visit. 2019 linebacker Owen Pappoe‍ (Hail Varsity Rating: 96.8) from Grayson High School in Georgia will be taking an official to Lincoln during the season. He tells me that right now he's scheduled for the Michgan State game on Nov. 17. With two former high school teammates on the team, Mohamed Barry and Breon Dixon, Nebraska should be a darkhorse team to watch in his recruitment. Georgia and Clemson are recruiting him very hard. >>One of the top QBs in the 2019 class is also planning a trip to see Nebraska. Four-star quarterback Jayden Daniels‍ (HV Rating: 90.6) from Cajon High School in California tells me that he is planning a spring trip to see Lincoln. He is unsure if it will be for a practice or the spring game at this point. >>There is a junior college kicker that is very interested in Nebraska. Perhaps nothing will come of it because the Huskers took a scholarship kicker this recruiting cycle, but Nino Albegic from East Mississppi in Scooba, Mississippi ,told me he is hoping for a preferred walk-on offer. "This '18 class has a scholarship kicker and if the opportunity is there for a preferred walk-on I'm taking it," he said. "Definitely a dream school." >>This week, Nebraska hosted a group from Martin Luther King High School in Detroit. The headliners of the group were 4-star 2019 safety prospect Marvin Grant Jr.‍ (HV Rating: 90.2) and 2020 WR Rashawn Williams‍. Grant, holds an offer from Michigan and Ohio State already, but picked up a Huskers offer on the trip. I caught up with him when he returned home to get his impressions of Lincoln. "The facility was beautiful," he said. "Didn't get too much time to talk to the safety coach but overall it was all good!" He says that he did talk with Frost but he didn't get much time with him, so they'll have to catch up next time. Grant wants to return in the spring for a practice but doesn't have a date locked down just yet. >>Last cycle, Nebraska got quite the prospect out of Georgia in outside linebacker Caleb Tannor. The hunt for pass rushers from Georgia will continue into the 2019 cycle. Last week, Nebraska offered 4-star defensive end Justin Eboigbe‍ (HV Rating: 93.1) out of Forest Park, Georgia. Eboigbe is blowing up right now racking up offers from FSU, Miami, Auburn and others recently. I very briefly caught up with him and he told me he is still figuring out visits and that Coach Sean Beckton was the one that offered him.